The Gear S2 Classic was considered to be the most formal and elegant of Samsung's smartwatches when the company released it last year, but it came with a slightly higher price tag for some customers (Verizon sold it at $399). Well, we've seen the Gear S2 Sport (the non-Classic) model receive a temporary discount down to $159.99. We've seen the Gear S2 Classic get a price cut by $160 in another temporary deal, but these deals weren't done with Amazon. The Gear S2 Classic's $160 price drop was done by DailySteals - again, not Amazon. Well, Amazon is now back with a deal of its own. The Gear S2 Classic leather wristband model is now down to $179.99 at the online retailer, with the Dark Gray Gear S2 Classic at $199.99, the Platinum Gear S2 Classic at $299.99, and the Rose Gold model at $349.99. The Silver Gear S2 Classic isn't in stock yet, but will arrive on May 22nd (you may want to wait for this one if your heart's set on it). 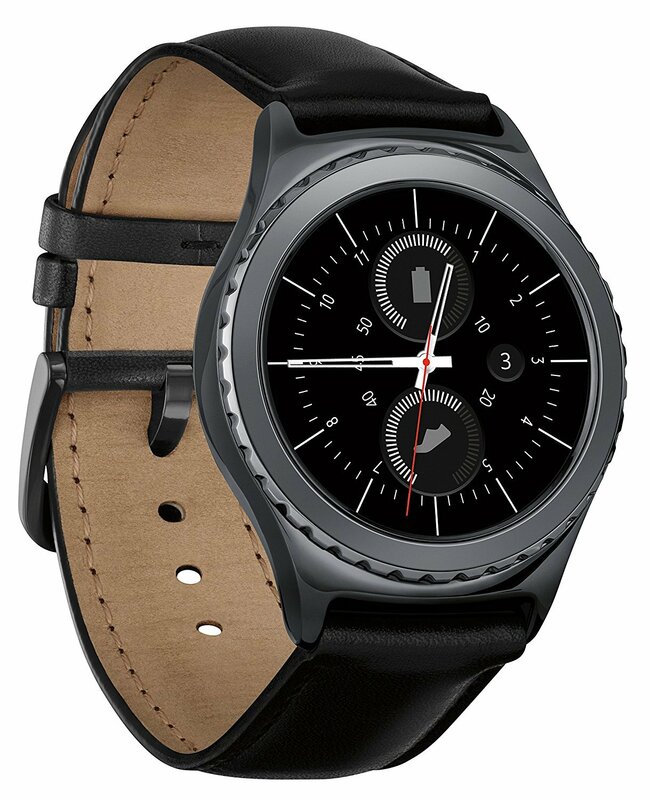 The Gear S2 Classic, like the non-Classic model, was among the first smartwatches from Samsung to feature wireless charging and circular AMOLED displays that run Tizen and received widespread popularity. Samsung has now brought Samsung Pay to the Gear S2 and Gear S2 Classic, though you can only use Samsung Pay at NFC terminals as there's no MST in the Gear S2 (only the Gear S3 Frontier and Gear S3 Classic have MST that lets you pay at traditional credit card terminals). The $180 price tag is a steal for many customers who've had their eye on this smartwatch for a long time. Now's as good a time as any. Watch this Gear S2 Classic unboxing, then head on over to Amazon and pick yours up. Then stop by here and let us know you did.